Daniel Cormier, friend of Cain Velasquez, says he'd beat Francis Ngannou but won't push for the fight unless it gets presented to him. 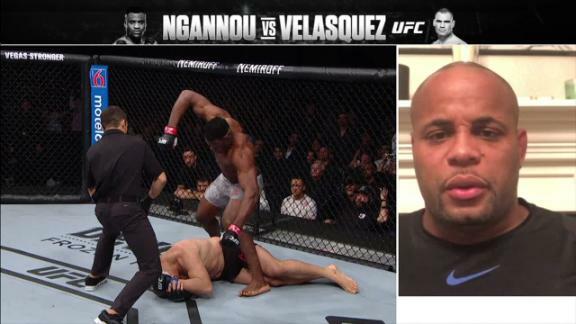 Ariel Helwani and Chael Sonnen are in awe of Francis Ngannou as they look back on his past year which includes losses to Stipe Miocic and Derrick Lewis. Cain Velasquez shows Francis Ngannou some love after losing and apologizes to the fans in Arizona afterwards.